Nottingham, Friday 22nd February, 2013 – Despite continued challenging and uncertain market conditions The Nottingham Building Society has maintained a focus on delivering its strategy, which has resulted in a strong performance with Group pre-tax profits before FSCS up 22% from £8.6m in 2011 to £10.5m in 2012. A customer net promoter score of 79% putting our advocacy in the top 10% of firms across all sectors. 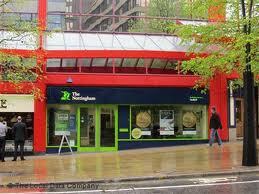 “It is very pleasing to report that in 2012 the Nottingham Building Society has delivered a strong performance, building on our progress of recent years, despite continued challenges and uncertainty in the economy at large. Our efforts to ensure we balance the conflicting needs of our savings and mortgage customers were rewarded by strong growth on both sides of our balance sheet. Retail savings deposits increased by 14% and our balance sheet overall grew by 10%, driven by a 28% increase in gross mortgage lending to £559m. Non-interest income increased by 14%, helped by the ever increasing popularity of our broader range of products and services, including estate agency services and financial and estate planning protection. We have delivered this strong performance whilst continuing to invest in the Society. In 2012 we moved to a new head office building bringing three disparate central operations together in one modern efficient building. This has reduced the overall running costs and improved the way we conduct our business, with quicker, more effective communication and decision making. We have also invested in our branches with the complete refurbishment or relocation of three of our largest branches; Arnold, Sheffield and our flagship office on Upper Parliament Street in Nottingham. Building long lasting relationships with our customers remains our overriding objective, with many of our new initiatives focused on improving the products, service and efficiency with which we operate the Society. Our customer satisfaction survey is central to assessing how well we are delivering against this. In 2012 we have maintained our industry leading levels of satisfaction, with 96.7% of our customers rating us as excellent or good. During 2012 the Society continued to support local communities through a wide range of activities aimed at supporting causes and groups that improve financial literacy, assist with employability and support the battle against homelessness. Our community investment programme, ‘Doing Good Together’ completed a second and highly successful year. Through our partnerships with Nottinghamshire Community Foundation, Nottingham Post, regional radio station Gem 106, and our chosen partner charity Framework, we have undertaken a variety of fundraising and support activities. In 2012 we are delighted to report we have increased our fundraising by 55% with £78,000 being distributed to worthy causes across our heartland. We are pleased to announce the appointment of a further non-executive director to the Board. Mary Phibbs, who joined the Board on 1 February 2013, has over 30 years’ experience in audit, advisory, finance and insurance both here and in Australia. Mary has a strong commitment to mutuality and currently holds a number of non-executive directorship posts including one at The Charity Bank Limited. We welcome Mary to the Board and look forward to working with her in the years to come. The Society is well positioned to move forward, despite continued uncertainty in the economy. We have a strong capital position and robust financial performance. Our plans for the year ahead are focused on extending the reach of the Society beyond its current locations and continuing to develop and improve the products and services that we offer to members. We were pleased to announce the proposed merger with the Shepshed Building Society in December 2012 and look forward to welcoming their members to The Nottingham following their members vote in April. We were also pleased to announce the acquisition of East Midland’s estate agency Harrison Murray early in 2013. This acquisition not only strengthens our estate agency offering through the expertise and strong track record that Harrison Murray brings, but also provides us with a number of potential high street locations to add building society services to. This gives our members, especially in Leicestershire, more choice on where to conduct their business with the Society and is a good opportunity to acquire new members to the Society.